Out of some of my first attempts at creating thread I decided to attempt weaving. The Warp is made from a commercial cotton yarn while the weft is all original spinning out of various materials. 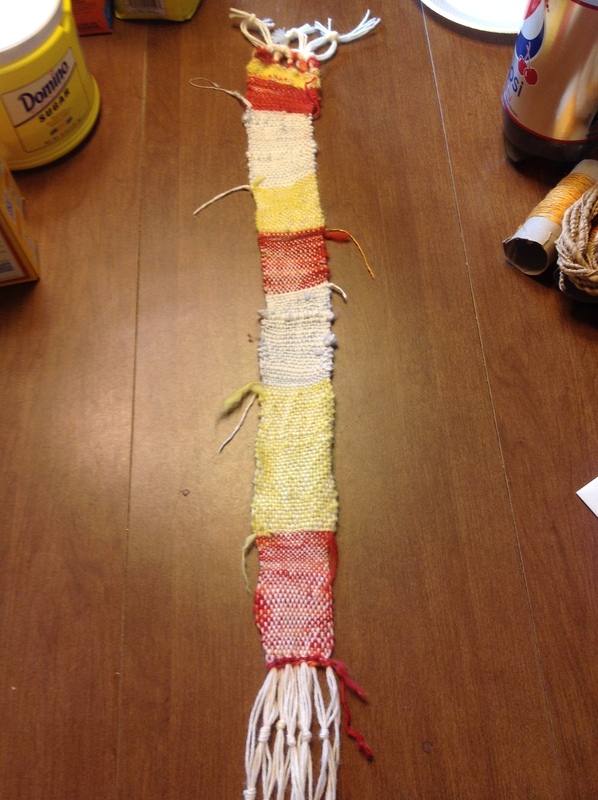 My Art Weaving #1.